Conveyancing is the transfer of legal ownership of property from one person to another. Whether buying or selling a house the key to getting things right is being confident that the legal process is being handled by people with the right skills and experience. Christopher G Mowat Property Lawyers has all the conveyancing experience you will need. Chris himself has been practising since he qualified as a Solicitor in 1973 and has worked in the local area for over 20 years. The team at CGM Property Lawyers operate within our Windermere branch ensuring it really is a close working relationship! We hope this section will help guide you through the legal process of both buying and selling a house, (and don’t forget there is a Legal Jargon Buster for any terms that you are not too sure about), but if you have any queries please don’t hesitate to call them on 015394 88901. There are two stages involved: stage one is preparing for exchange of contracts, once these have been exchanged the buyer and seller are legally committed to the transaction and the completion date can be set. The second stage is the period of time between exchange of contracts and completion. What Can I Expect To Happen When Selling A House? What Can I Expect To Happen When Buying A House? How Long Will It Take To Complete The Property Transaction? On average, a conveyancing transaction takes 10 – 12 weeks from the time they receive the draft contract to completion, although a leasehold flat will take longer. How long it takes will depend on a variety of factors that include when a buyer’s mortgage is approved, the speed of the solicitors, how long it takes to get search results back, the length of the chain of transactions (if any) and the legal issues involved. What Are Sort Of Enquiries Might The Buyers Conveyancer Raise? The buyers conveyancer will ask about legal issues that affect the property, e.g. if your neighbour has a right of way over your garden, if planning consent has been obtained for an extension to the property. Are There Any Enquiries That I Should Not Respond To? Sometimes the buyer’s conveyancer will ask questions about the physical condition of the property or the state of repair of your central heating or gas / electrical systems. You are not legally obliged to give the buyer this information. If you give incorrect information, the buyer may sue you if they suffer financial loss as a result. e.g. if you say that the central heating is in good working order and it is not, the buyer may try to claim the cost of any repairs from you. Can The Estate Agents Answer Any Queries I May Have? How Long Will It Take To Complete The Sale Of My Property? On average, a conveyancing transaction takes 10 – 12 weeks from the time the draft contracts are received to completion, although a leasehold flat will take longer. How long it takes will depend on a variety of factors that include the speed of the conveyancers, how long it takes to get search results back, the length of the chain of transactions (if any) and the legal issues involved. On average, a conveyancing transaction takes 8 – 12 weeks from the time they receive the draft contract to completion, although a leasehold flat will take longer. How long it takes will depend on a variety of factors that include when your mortgage is approved, the speed of the solicitors, how long it takes to get search results back, the length of the chain of transactions (if any) and the legal issues involved. We will try hard to meet the completion date you want but cannot guarantee that this will be possible at this stage. Is My Solicitor Able To Advise Me On All Aspects Of The Purchase? Are There Any Other People Who Can Advise Me About My Purchase? This shows the planning history of the property; any proposals for new roads or traffic schemes; conservation areas and any other matters within the council’s control that may affect the property. This will show whether the drains run into a public or private sewer and whether the property has a mains water supply. It will also show whether a public sewer runs under the property. This will show if there are any landfill or waste disposal sites in the area. It will also show if the property has been built on an old industrial site or whether there are any risks from contaminated land, flooding, subsidence etc. This checks to see whether the property may be within the boundaries of a historical parish that has a right to claim money from the property owner for repairs to a church chancel. This medieval right is still capable of being enforced today. The recent case of Aston Cantlow v Wallbank contested an initial repair bill of £6,000 and resulted in a final bill of approximately £250,000. You may still be liable whether or not the property is in a rural area or near a church. Where liability may apply it is possible to take out chancel liability insurance. This checks to see whether the property may be affected by subsidence as a result of historical or present day mining activity. Only certain areas of the country will require a coal mining search. We know that buying a house is not something you do every week and that some of the terms we use may be confusing or difficult to understand therefore, we have included a Legal Jargon Buster that you may find useful. What you will not get from CGM Property Lawyers is a faceless call-centre based service. At the outset of the process the team will visit you in your own home to explain the process in detail. At this stage he will start to collate all the necessary documents; the title deeds, planning documents and the property information forms. At any time during your sale or purchase one of his highly trained staff, will be available by phone or email. They will also be happy to call in and see you and discuss any problems or concerns face to face. Using modern case-management systems and up-to-date technology the highly experienced team, will ensure that your sale or purchase will be completed in the minimum amount of time possible and at a highly competitive price. With a network of links within the Cumbrian property and estate agency industries, the team combine years of legal experience with excellent local knowledge. With a friendly personal approach they will keep you updated regularly allowing you to be fully involved in the process. We believe the service offered by CGM Property Lawyers is extremely competitive and unlike apparently cheaper firms there are no extra upfront fees or add-ons to your final bill. Combining the important aspects of a traditional firm of solicitors, but without the complex jargon, the team are committed to working in a modern, accessible and transparent manner. You can be confident that your sale, purchase or both are being handled by a professional, friendly and dedicated team. 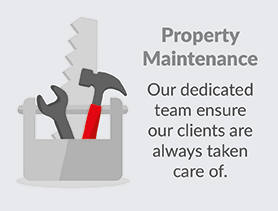 To find out more about the services we offer and to receive a free, competitive quote please contact CGM Property Lawyers. Alternatively, please use the below form to contact.